Dagoberto Linhares was born in Sao Paulo, Brazil. 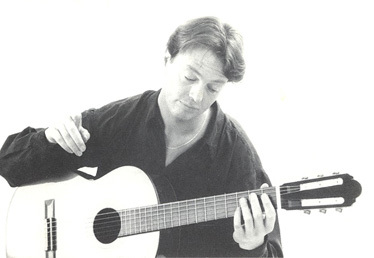 He started his guitar studies at the age of 9 with Manuel Sao Marcos. Dagoberto Linhares is laureate of several competitions : Sao Paulo Competition, Young Instrumentalists, Concurso Maria Canals de Barcelona, "Concours d'Exécution Musicale" (Geneva), "Association des Musiciens Suisses" Award. In 1972 Dagoberto Linhares continued his studies with Maria Livia Sao Marcos, graduating in 1973 with the first prize of the "Virtuosité" examination at Geneva Conservatory. At the same time he was appointed teacher at the Fribourg Conservatory. Dagoberto Linhares attended the Master Classes of Turibio Santos, Julian Bream and Andres Segovia, who very impressed by his talent predicted him a brilliant career. Since his debuts in 1974 at the Wigmore Hall in London, the Alice Tully Hall (Lincoln Center New York), at the Salle Gaveau, Cortot and Pleyel in Paris, D. Linhares has been invited to perform in the major music festivals, (Salzburg Festival, Macau Festival, Festival do Mateus, Festival dos Capuchos, Festival da Ilha da Madeira, , Festival dos Acores, Festivalé do Cabo Verde, Festival de l'Orangerie du Chateau de Sceaux, Festival do Algarve, Festival Radio France de Montpellier, Isle of White Festival, Bangkok Festival, Sidney Festival, Festival del Veneto, Festival de Raziguères, Festival of Eztergom, Musica nel Veneto, Lisbon Festival, etc...) as a soloist, recitalist and as chamber musician in all Europe, USA, America, USSR, Poland, Romania, Hungary, Bulgaria, The Republic of Czech, Slovakia, Australia and Far East. He interpreted the following concertos: Rodrigo, Giuliani, Villa-Lobos, Torroba, Vivaldi and Castelnuovo-Tedesco. Dagoberto Linhares resides in Geneva. He is in charge of the Lausanne Conservatory's professional classes and has given master classes at the Fundacao Casa de Mateus in Portugal every year since 1980.